By using this website, you agree to be bound by these terms and conditions of use, set out below. If you do not agree to the terms and conditions, then you may not use our website. By gaining access to and using any part of our website, you are bound by these terms and conditions. Where you are providing information to us, you must ensure that all information provided is true and accurate. Unless otherwise specified, the material publish on our website are presented for your personal and non-commercial use. It is presented by way of reference and we make no warranty that the content is free from error. From time to time, we may present on the website information related to the Migration Act & Regulations, policy and guidelines issued by the Department of Immigration and Citizenship. 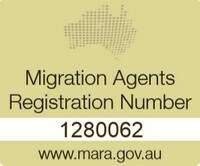 Whilst we will endeavour to take care in preparing and presenting the Migration Information, the Migration Information does not constitute and is not intended to be migration advice. The Migration Information is presented as a point of reference only, is general in nature and may not reflect the up to date law on migration. You should not use the Migration Information without first contacting us in order to have your individual circumstances and requirements considered in order for proper migration advice to be given. If you transmit your personal details, information or circumstances to us using our website, it is not to be taken to be your engagement of Karol Nowak as your migration agent. Your acceptance of our letter of appointment and payment of an upfront fee as specified in the letter of appointment is required to create a `migration agent – client’ relationship. We do not guarantee that our website can be accessible by you at all times, that it will operate continuously and that it will be error free. We take no responsibility for any loss or damage suffered by you as a result of the presence of inadvertent errors, breakdown of continuity of availability of website or any error causing the website being inaccessible. You must not endeavour to tamper with any contents or hack or attempt to hack into our information systems, through our website or by any other means.